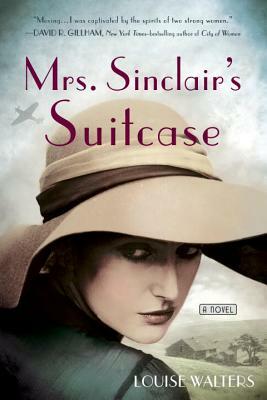 Heartbreaking and deeply compelling, Mrs. Sinclair's Suitcase is a compulsive page-turner about thwarted love, dashed hopes, and family secrets -- book club fiction at its best. Roberta, a lonely thirty-four-year-old, works at The New and Old Bookshop in England. When she finds a letter inside her centenarian grandmother's battered old suitcase that hints at a dark secret, her understanding of her family's history is completely upturned. Running alongside Roberta's narrative is that of her grandmother, Dorothy, as a forty-year-old childless woman desperate for motherhood during the early years of World War II. After a chance encounter with a Polish war pilot, Dorothy believes she's finally found happiness, but instead she is faced with a dilemma so monumental, the consequences affect her granddaughter decades later. And so, the parallel stories of Roberta and Dorothy unravel over the course of eighty years as they both make their own ways through secrets, lies, sacrifices, and love.